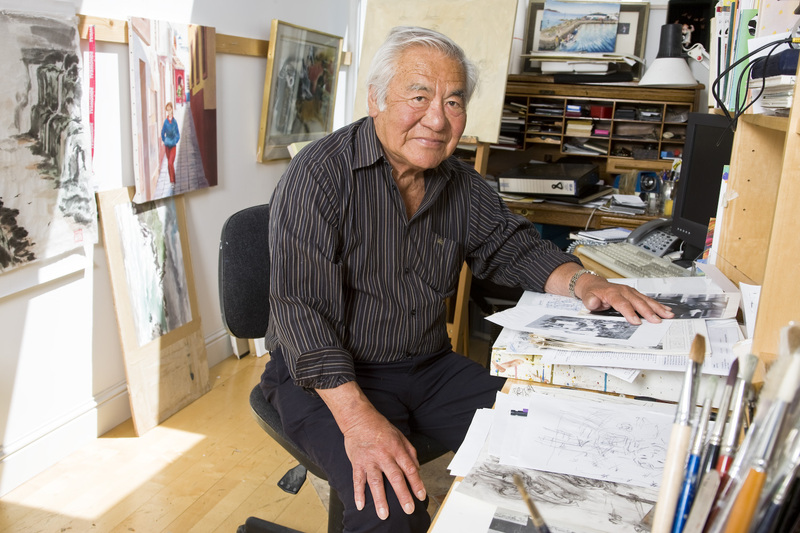 Jimmy Murakami, the Oscar nominated Animator of ‘Snowman’ and ‘When the Wind Blows fled his native America to Ireland, for reasons that had haunted him from his childhood. In this film Jimmy confronts the dark chapter that began when Japan attacked Pearl Harbour. Jimmy, a young boy of 8, was arrested alongside his brother and sisters and his Japanese born Father and American born Mother. More than a hundred thousand Japanese American citizens were stripped of their citizenship and deemed ‘Non Aliens’. Jimmy’s family were uprooted from their small farm and taken to the notorious detention centre, Tule Lake Camp, in the wastelands of the California desert. The family spent four years in the camp while WW2 raged beyond their prison walls. Four long years, where they suffered all kinds of deprivations and his young sister Sumiko died of leukemia. Our film begins as Jimmy, now in early retirement, creates a series of heart wrenching paintings that illuminate his memories of prison life. As he goes through the process of creating them he reflects on this tragic part of his life. 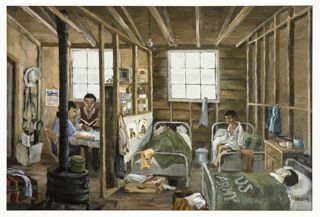 After the paintings were finished Jimmy was invited to take part in the annual pilgrimage to Tule Lake with survivors of the camp and their children. 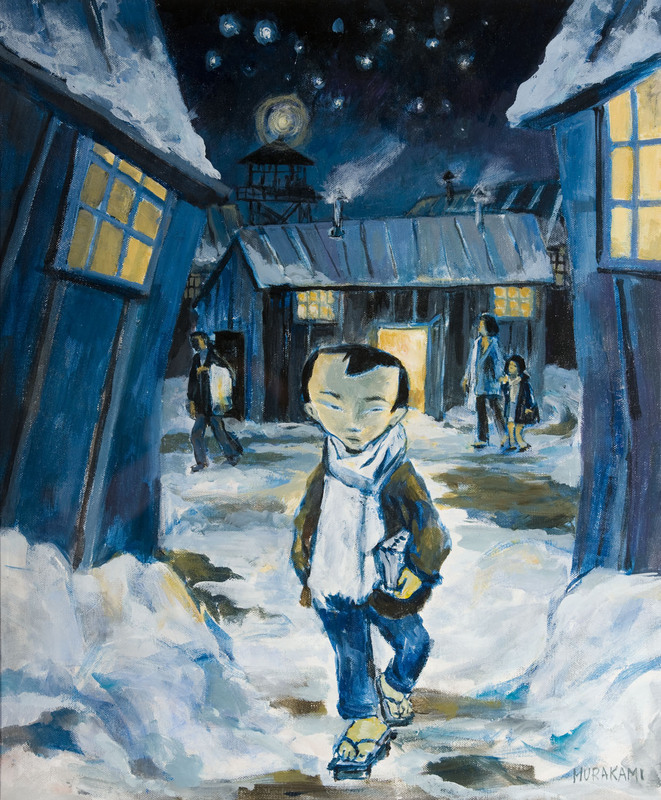 While the older Jimmy brings us on the real journey back to Tule Lake, the boy Jimmy, in animated form, brings us into the world of the camp. Along the way, Jimmy meets up with other former internees and through their recollections, this strange chapter of history unfolds Here is the story of a young boy who one day was helping his parents trying to establish roots in America as poor dirt farmers in San José. He was suddenly forcibly moved to a detention centre, growing up in harsh prison-type conditions without any charges being made, a trial being had, or any retribution offered. Jimmy is one of the few people alive who has cogent memories of this time in American history. The pilgrimage Jimmy makes back to ‘Tule Lake’ forms the central part of the films drama. The outrage of Japanese-Americans who underwent such a violation of their rights has echoed down through the corridors of the last six decades and stands as a blot on the pages of American history. Jimmy has since moved on, he is no longer bitter towards America but still he gets goose pimples when he sees television images of American activity in Iraq and sees so much of his own experience in modern day footage of Guantanamo Bay. The films title “Non Alien” refers to the status imposed by the American Government on Japanese American people during WW2. In the eyes of the law they were neither Citizen nor Alien and therefore had no rights! In the camps they were branded as “Disloyals” if they refused to sign forms of Allegiance to the American Government. Sé Merry Doyle’s film is an intriguing mix of live action and animation, telling the story of how this kind of unimaginable horror happened to ordinary people caught up in the middle of politics and public hysteria that was beyond their control. Jimmy Murakami passed away in 2014. This film is a remarkable testament to a man who overcame adversity and who through all his life believed fervently in freedom from injustice for all the people on the planet. Watch this space for great moments from The Loopline Collection.